Let's "Wipe Out Breast Cancer"! Every three minutes, a woman is diagnosed with breast cancer. One in eight women will develop breast cancer in their lifetime. These startling facts are what inspired Paula Lombard, automotive industry native, to action nearly three years ago. AutoTex PINK are wiper blades that help wipe out breast cancer. 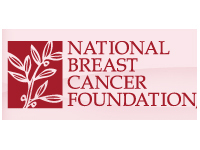 Sales of these high end wiper blades support the National Breast Cancer Foundation in the US, and the Breast Cancer Society of Canada. Cindy Hudson is a Marketing Manager for the largest Valvoline Instant Oil Change (VIOC) franchisee, Henley Enterprises, Inc. She is responsible for all marketing in two specific geographic regions for the company, its Michigan and Ohio region, and its Mid-Atlantic region, covering 73 VIOC service centers. Cindy started her career with Instant Oil Change in 1987 shortly before Valvoline purchased the Instant Oil Change service centers and name. She soon moved to the Detroit area to set up and oversee a Regional Office for VIOC. Cindy has played an instrumental role in the company’s expansion in the Michigan and Northern Ohio markets. “I believe our involvement in the communities that support our locations is a key aspect of success. We have worked with Big Brothers Big Sisters, the Girl Scouts and Boy Scouts of America, Habitat for Humanity and MADD on a larger scale to help raise money. Headquartered in Newton Highlands, MA, Henley operates participating Valvoline Instant Oil Change facilities in 12 states. Paula is President and CEO of Wexco Industries, as well as President of AutoTex PINK, a women-owned and created company that’s among the nation’s leading global suppliers of windshield wipers.